Horn bulb, black rubber with brass ferrule ring with a 5/8" inside diameter, 4 inch diameter bulb, 6-1/2" length. 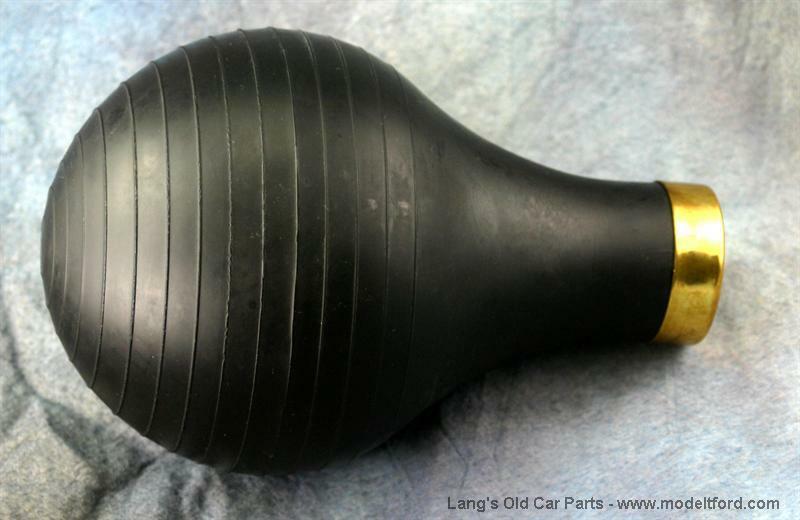 NOTE: This is size horn bulb that is most often used on Model T horns. What size will this bulb fit? The horn bulb is made to fit over a 5/8" diameter tube. 23 out of 28 found this answer useful.